Suitable for commercial, residential and mixed-use properties and conversions. Our mortgages for property refurbishment offer the security of an approved long-term investment mortgage following an initial refurbishment period, with flexible payment options. Complete the refurbishment within the 12 months and benefit from a hassle-free and fee-free transition to a pre-approved investment mortgage. Net rental income should be at least 130% of monthly repayments on completion of the refurbishment. Maximum 12 months to complete refurbishment. Fixed terms from 2-30 years (25 years max for HMO/20 years max for Commercial properties). Have at least two years' experience of property refurbishment, on a minimum of two properties in England, Scotland or Wales. 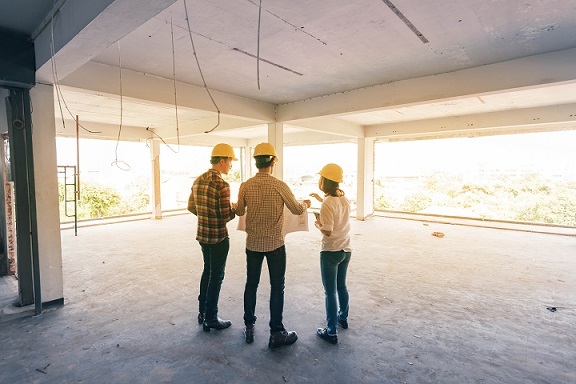 Our refurbishment loans are also available to owner-occupier businesses looking to refresh their own property, subject to suitable experience. Interest only and roll up options available. From flats and houses to retail, service centres, offices, manufacturing sites, warehouses and distribution centres - as well as mixed-use properties - Redwood Bank will consider the application if your client meets our criteria (see above). We assess each mortgage application individually with common sense, speed and an appreciation of the ambitions of your client's business in mind. Property secured on the loan may be repossessed if repayments are not maintained.